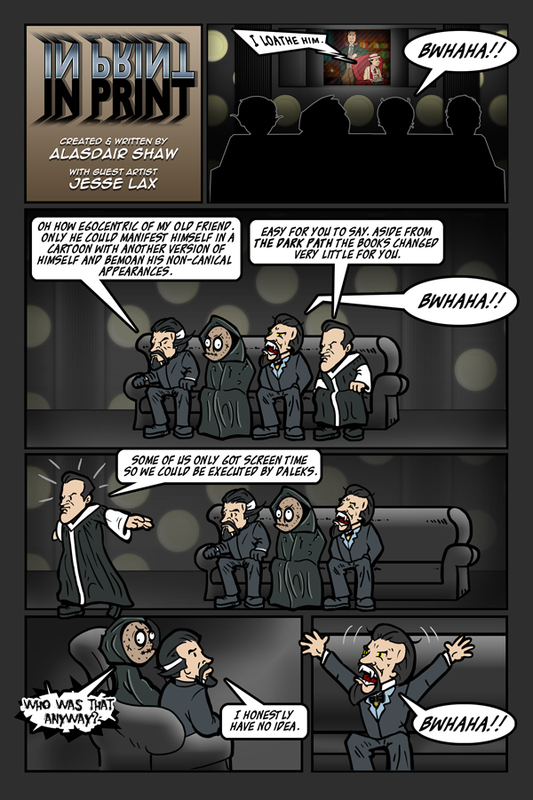 Our guest strip today comes from our very own Jesse Lax. Many of you will know Jesse as the artist behind my other comic project Dangling Threads. When he's not designing the look for the Doctor Who Reprint Society or drawing Threads Jesse is the Creative Director of Kwaai Games. His current project is Vampires: The Dark Side, you should go check it out. To see more things that Jesse has drawn you should check out his dA page. Now, does anyone know who our guest star in the strip is?